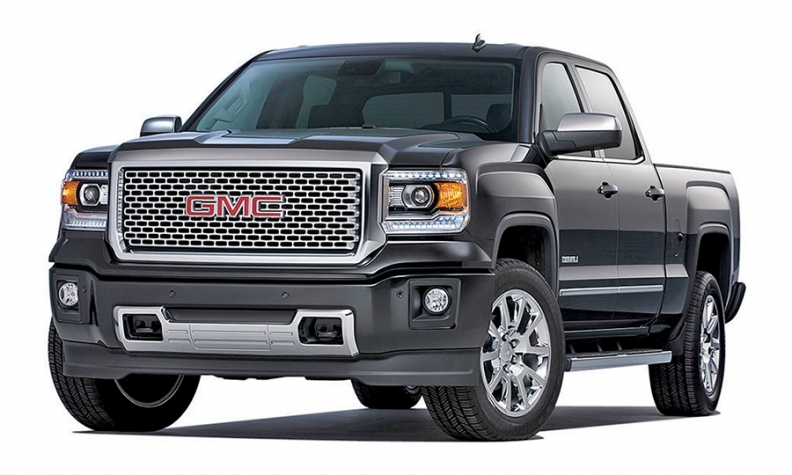 General Motors can offer better deals on the GMC Sierra thanks to higher residual values. DETROIT -- Pickups are beginning to emulate luxury vehicles, with their exclusive-sounding model names, fancy features such as vented seats, and $50,000 price tags. Here's another similarity: More customers are leasing them. Last year, leases accounted for about 14 percent of U.S. retail light-duty pickup sales, up from less than 3 percent in 2010, according to J.D. Power. That's small compared with the luxury segment's lease penetration of nearly half of all sales and the industry average of more than 20 percent. But it represents a widening avenue to ownership for pickup buyers, who traditionally have been leery of wear-and-tear charges and mileage limits. "It's becoming more of a tool to increase sales in a supercompetitive segment," IHS analyst Tom Libby says. The growing popularity of pickup leasing carries both an upside and risk for automakers. Leases are driving incremental sales of the Detroit 3's biggest moneymakers, helping to extend one of the U.S. light-truck market's strongest growth streaks in recent memory. They're also getting pickup owners into a lucrative buying cycle that brings them back to showrooms every three years. But profitability is lower on leases generally than on purchases, even with stronger residuals that allow automakers to reduce lease subsidies. Leases also require automakers to gamble that those strong resale values will hold up in the face of rising gasoline prices or an economic downturn. That was a losing bet back in 2008, when the slowing economy and spiraling fuel prices led to a drop of about 25 percent in resale prices of full-size pickups and SUVs, leaving automakers' captive-finance arms holding the bag. One analyst in 2008 estimated that Chrysler's finance unit was losing an average of $5,000 on every big truck it took back at the end of the lease term. Duncan Aldred, vice president, Buick-GMC: "It's nice upside, but we're not building our strategy around it." 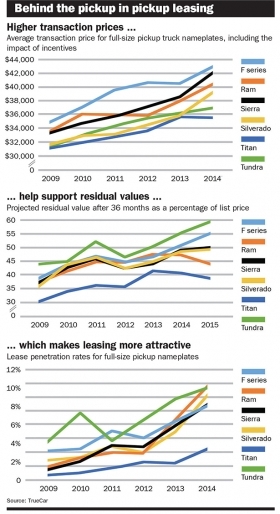 For now, automakers are downplaying their growing lease portfolios in the pickup segment. "It's nice upside, but we're not building our strategy around it," says Duncan Aldred, head of Buick and GMC. He's leery of leasing too many pickups because of the thinner margins. GM spokesman Jim Cain said leasing is a valuable customer-retention tool because lease customers are especially loyal to their brands. He said the higher residuals on the Chevrolet Silverado and GMC Sierra have allowed GM to "do more with less" on its lease deals. The latest generation of the Silverado was assigned a residual of 55 percent when the pickup went on sale in mid-2013, up from 47 percent for the last year of the previous truck, for example. Fiat Chrysler says its leasing rate for pickups is improving but largely mirrors the growth of leasing across its lineup. Ford declined to comment on its F-series lease penetration. Stronger resale values. Sharply higher residuals, which forecast how much of a vehicle's value will be retained in the future, have allowed automakers to offer sweeter lease deals. Pickup makers routinely advertise leases even for pricier crew-cab models at payments of less than $300 a month in certain markets. Surging prices. Average transaction prices for full-size pickups (excluding heavy-duty models), hit a record $41,029 last year, according to TrueCar, up from $35,346 in 2010. The growth has been fueled partly by the addition of expensive trim levels, such as the F-150 Platinum model, which offers a 360-degree camera and adaptive cruise control. For some budget-conscious customers, boiling the sale down to a monthly lease payment can make all the difference, says Brian Dobbins, general sales manager at Hare Chevrolet in Noblesville, Ind., near Indianapolis. Leasing represents nearly half of the dealership's Silverado sales, up from less than 25 percent a few years ago, he says. "Now that they've got strong residuals, that along with rebates makes it a sweet deal," Dobbins says. Meanwhile, as automakers increasingly position their high-end pickups as luxury vehicles, they're drawing more affluent buyers who are accustomed to leasing. "It's not unusual for that high-end Silverado to share garage space with a luxury sedan," says Eric Lyman, TrueCar's vice president of industry insights. 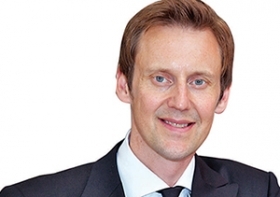 "Leasing is the ownership experience that they're already comfortable with." More features and content. As brands add features such as wireless Internet and slick infotainment touch screens to pickups, some buyers are approaching their decision with a shorter time horizon, rather than looking for a workhorse truck that will last for 250,000 miles. "A lot of these truck buyers are taking a step back and saying: I like all of these features now, but what will they come out with in the next two or three years?" says Scot Hall, executive vice president at Swapalease.com, an online marketplace that connects people who want out of their lease with people looking for a short-term lease. "A lease ensures they'll be able to get all the latest bells and whistles," he says. Hall speaks from experience. About a year ago, he leased a 2014 Silverado crew cab. Since then, Chevy has added 4G LTE Internet service. "When my kids saw the commercials for the '15s," Hall says, "they were like, 'Why doesn't your truck have Wi-Fi?'"